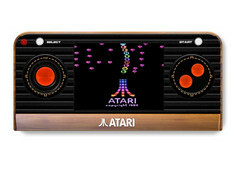 From Pong to Asteroids to Centipede and more, the Atari Retro Handheld features some of Atari's most popular games plus a few lesser-known titles. It goes on sale in November at the low price of US$45. Based on what Atari has revealed so far, the Ataribox has one eye fondly admiring the past and the other (seemingly) focused on the present. It is expected to run both classic and modern games, but whether that means it will run ports of current-gen favorites or wholly original titles is still unclear. What is clear is that most people are quite confused as to what exactly the Ataribox is, or what it will be able to do. The Retro Atari Handheld, on the other hand, is not confusing at all. In fact, it is a pretty straightforward machine. 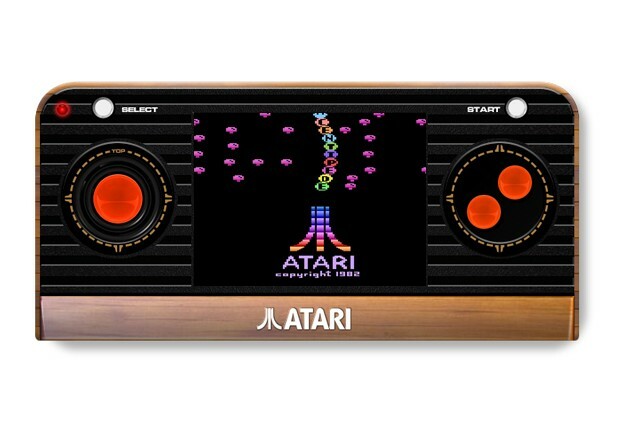 It is a portable gaming console that comes with 50 classic Atari titles built-in. Remember the old Tiger handhelds? The Retro Atari Handheld is basically 50 of those, conveniently packed into one nifty device. In true Atari fashion, the upcoming handheld flaunts the classic wood panel design, although in this case it is more of a "faux-wood," a plastic build that imitates the look of the Atari consoles of yesteryear. Exact specs for the device are unknown—not that they matter when all the handheld has to do is run decades-old games on a tiny 2.4-inch screen. The handheld can output to a TV with an A/V cable, though at what resolution is also unknown. In keeping with its old-school theme, three AAA batteries are needed to power the device (of course, they are not included). The list of games built into the Atari Retro Handheld is too long to list here, but it includes legendary titles such as Missile Command, Centipede, Breakout, Asteroids, Yar's Revenge, Tempest, and of course Pong. The games are controlled with a joystick and two action buttons, plus Select and Start buttons, that are placed to the left and right of the handheld's screen. Game audio can be output through headphones which are plugged into a jack located on the handheld's bottom edge—presumably, the handheld also has built-in speakers, but they are not visible in any of the available photos. British retailer Funstock Retro is currently accepting pre-orders for the Atari Retro Handheld. The console costs £34.99 (about US$45) and will ship sometime in November.